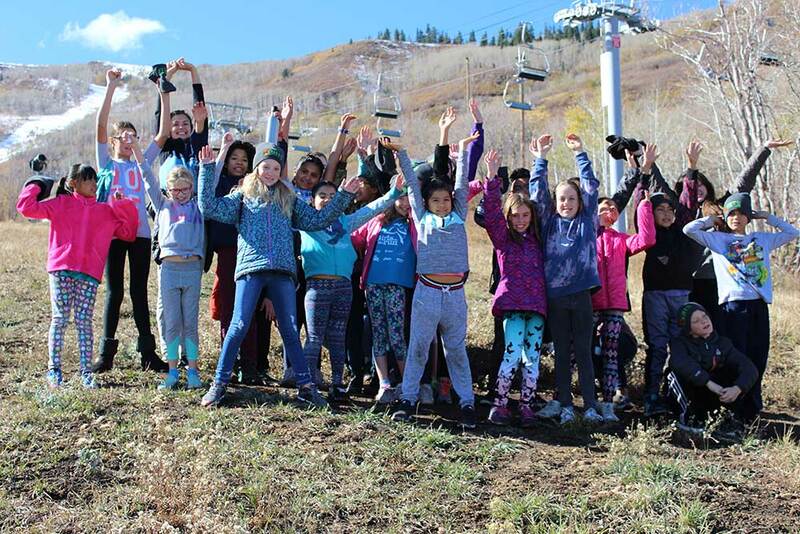 We had all-star campers at this year’s Mountain EATS camp over fall break! 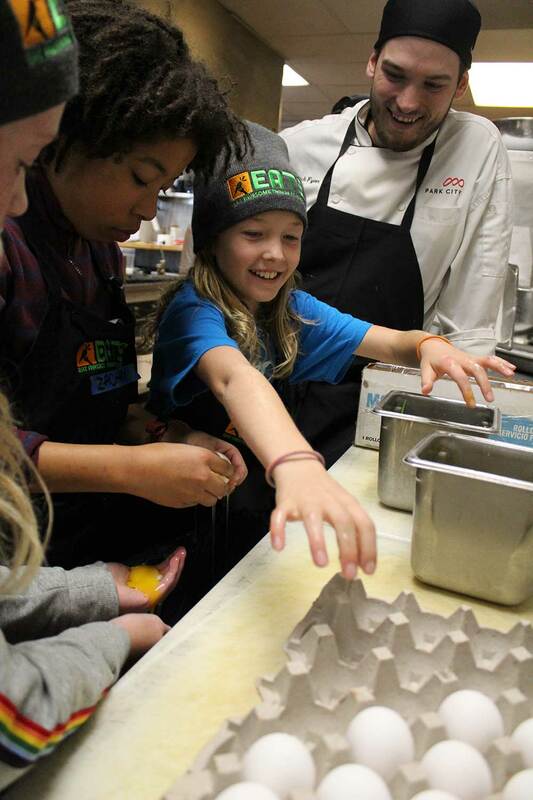 For two days, students worked with Park City Mountain chefs to cook a four course harvest meal for their families. 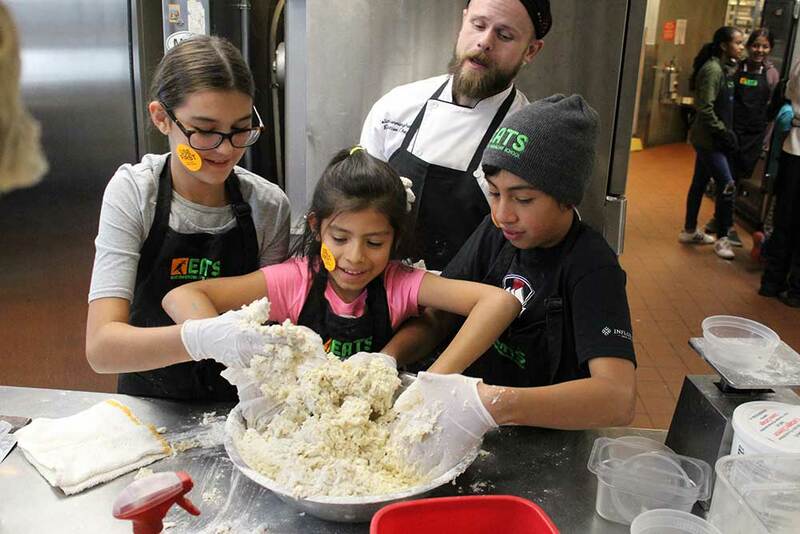 Students kneaded dough for fresh dinner rolls, crafted a caesar salad from scratch (including the dressing and croutons), prepared and roasted fresh vegetables, mashed potatoes, roasted chicken, and made their own ice cream! 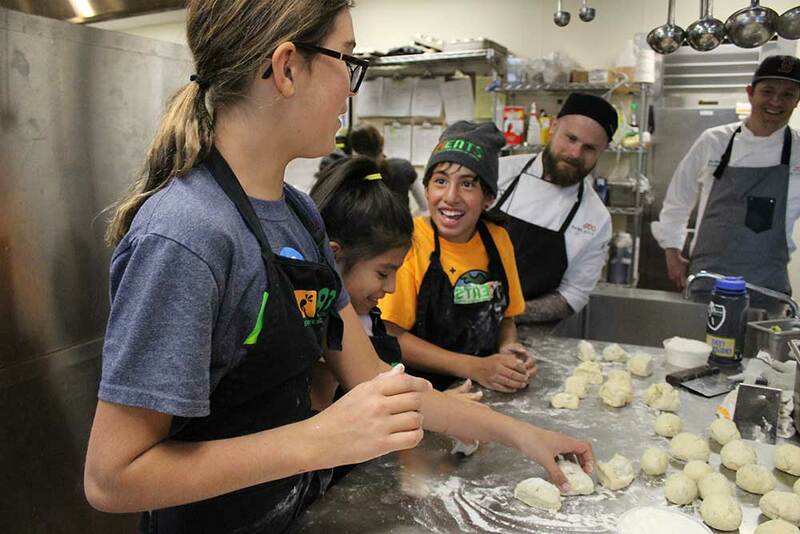 Professional Chefs at Park City Mountain patiently imparted their years of experience on campers, teaching them how to chop, mince, sautee, inversion blend, and roast like professionals. The front of house managers at Park City Mountain taught campers how to set up an elegant atmosphere for their families to enjoy the four course meal. Campers learned how to fold napkins, shine silverware, measure tablecloths, and set a table. By the end of the two days, campers were able to set a table fit for a wedding! 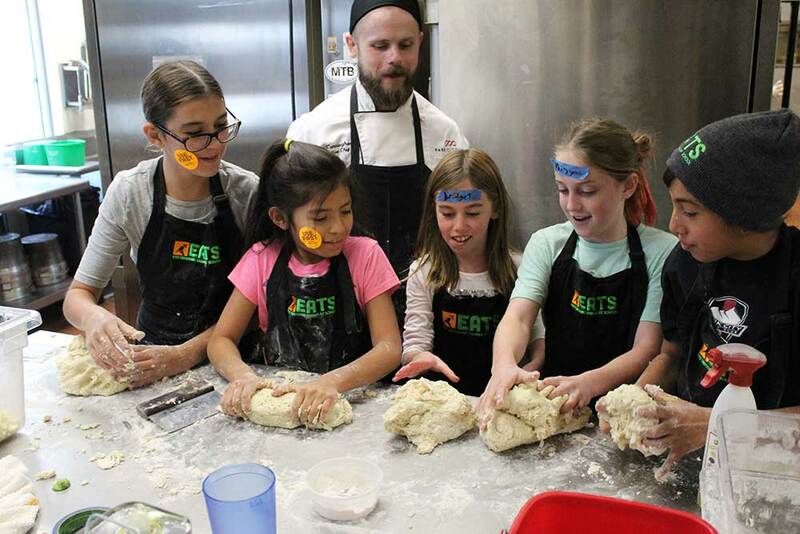 EATS staff also led campers through hands-on nutrition lessons. In one lesson, students prepared and tasted a Go, Grow, Glow snack: sliced cucumber and hummus on a whole grain cracker.. They learned first hand that whole grains help you go, proteins help you grow, fruits and vegetables help you glow! 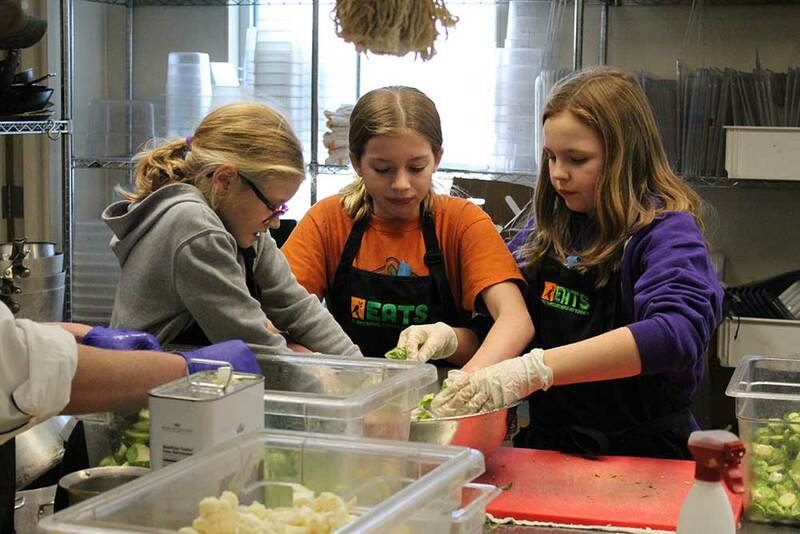 Campers also got a chance to work with EATS staff to plant their own kitchen herb gardens, and the accompanying nutritional benefits of herbs. Interested in sending your kids to our next camp? 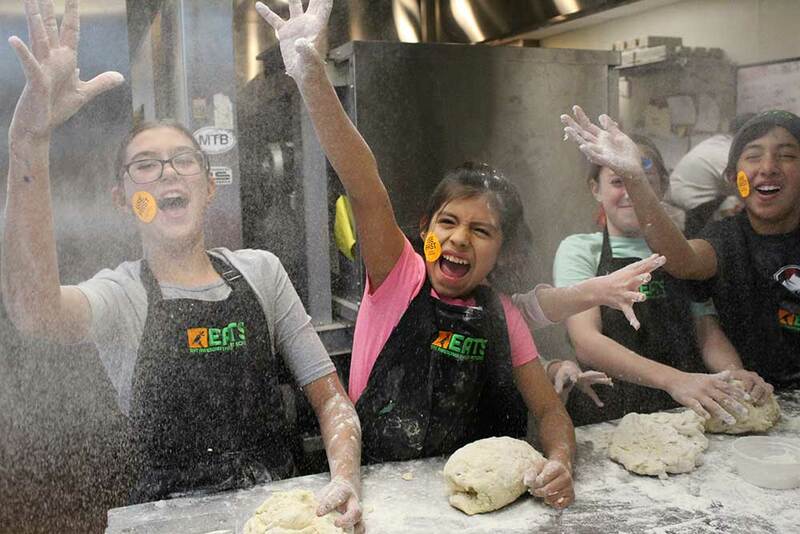 Follow EATS on social media or sign up for our newsletter to get updates on future camps!